Motorsport.com reports that the new agreements with the Middle Eastern nation will actually put the Dakar rally in Saudi Arabia for the next five years. The Amaury Sport Organization, the French company that organizes Dakar along with other international events, struggled to host the event in 2019. Both Chile and Bolivia withdrew, leaving the ASO to organize the entire competition within Peru, the first time Dakar had taken place entirely within a single country. Peru has the geography to support the signature Dakar experience. Namely: huge swaths of sand with big dunes that rise like waves for miles. But Saudi Arabia has more. With 1.4 million square miles of desert, the country provides plenty of land to carve out an exciting route. So the Dakar Rally still isn’t going to Dakar, but the race was founded on a love of desert driving. So Saudi Arabia should satisfy that requirement just fine. 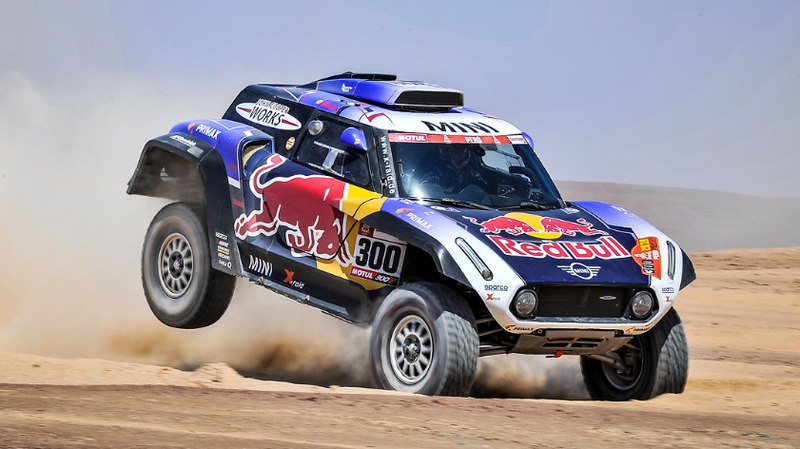 The Dakar Rally is the latest in a series of sporting events to be hosted in the country, with both ROC and Formula E hosting rounds in Riyadh as well as the FIA-backed Middle East Rally Championship—which has not come without its criticisms. Saudia Arabia is a country riddled with controversy, from their treatment of women to human rights violations. But the series has followed the money, which is a common enough trend in motorsport. Looking back at my first memories of the Dakar and my first experiences as a competitor, I’ve always considered that this rally like no other carried a concept of discovery, a voyage into the unknown. By going to Saudi Arabia, it is of course that aspect that fascinates me. I’m convinced that such a feeling will be shared by all the riders, drivers and copilots. As the director of the event, it’s a massive challenge to be faced with a blank page with limitless possibilities. I’m already inspired and delighted to have to design a course in such a monumental geography, made for the most audacious itineraries. We are spoilt for choice. Sports, navigation, a will to surpass oneself: all these aspects will naturally be glorified on this territory made for rally-raids. More details about the 2020 Dakar Rally itself will be released by the ASO in Al-Qiddiya on April 25.